The Bahnsport Type-01K are VIP Wheels from the BLEST Bahnsport series. The Bahnsport Type-01K feature a double 10 spoke design and come in sizing from 15×5 up to 19×9. 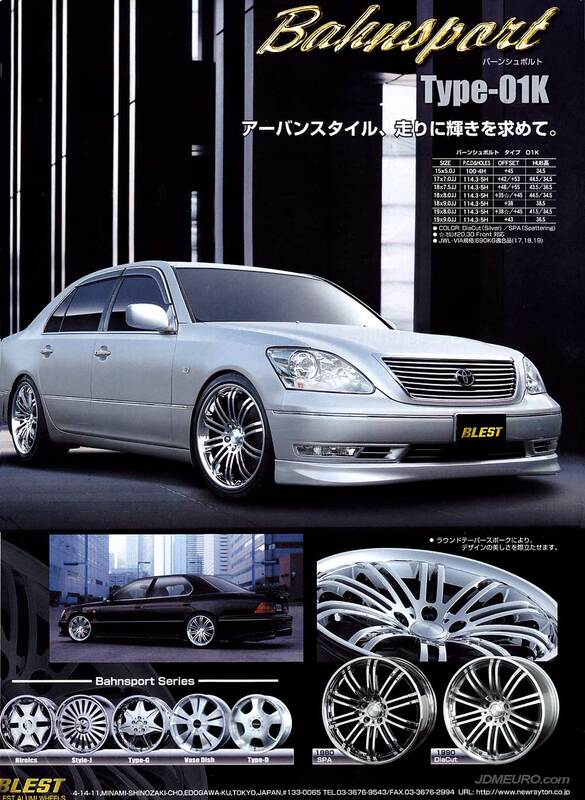 Pictured are the The Bahnsport Type-01K on a UCF30 Toyota Celsior / Lexus LS430 (top) and a UFC20 Toyota Celsior / Lexus LS400.